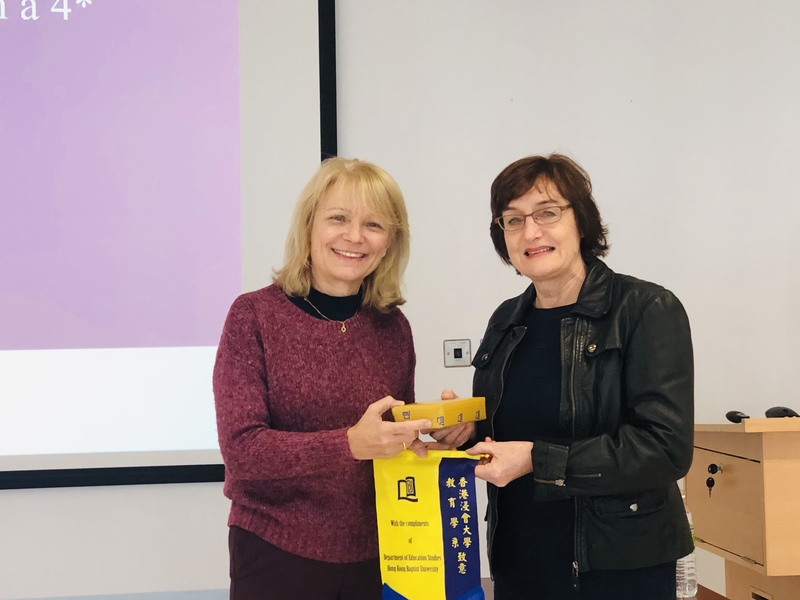 The Department of Education Studies hosted a visit by Prof. Prue Holmes, Professor of International and Intercultural Education at Durham University, United Kingdom, from 17 to 21 December 2018. In the capacity as Departmental Consultant, Prof. Holmes gave an open seminar on “Writing and publishing a 4* paper: Possibilities, opportunities, and challenges”. She also held meetings with the EDUC RAE Working Group to share her UK Research Excellence Framework experiences and give advice on the preparation for the RAE 2020. Colleagues were privileged to have the opportunity to seek for her expertise comments on impact case studies and research outputs during the visit. The Department of Education Studies organised a Fulbright Scholar Public Lecture on 17 December with Professor Lily Chen-Hafteck, Professor of Music Education at the University of California, Los Angeles (UCLA), and Chair of the Faculty of the UCLA Herb Alpert School of Music. Her lecture entitled “Designing and Implementing an Early Childhood Curriculum Integrated Music Curriculum” attracted 150 child educators and members of the public. 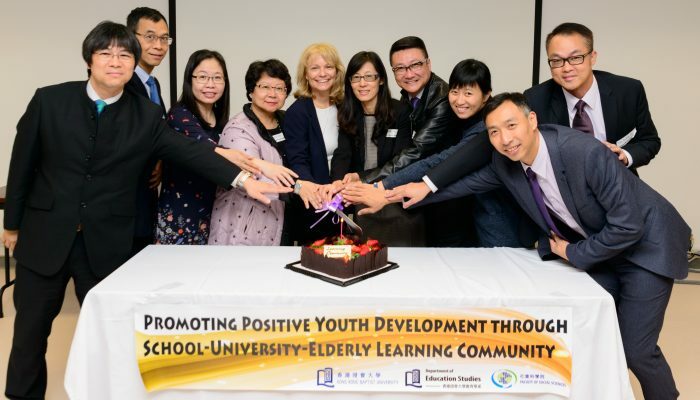 Professor Chen-Hafteck reported on an action research project supported by the Fulbright Fellowship research award on the design and implementation of childhood music curriculum in Hong Kong kindergartens. The study was conducted in three local kindergartens. Professor Chen-Hafteck and teachers who participated in the research shared their experiences of various ways of integrating music in early childhood curriculum. Professor Chen-Hafteck highlighted that an arts-based interdisciplinary curriculum in preschool classroom can motivate children’s learning and enhances the teaching and learning processes as well as nurturing children into well-rounded and creative individuals. 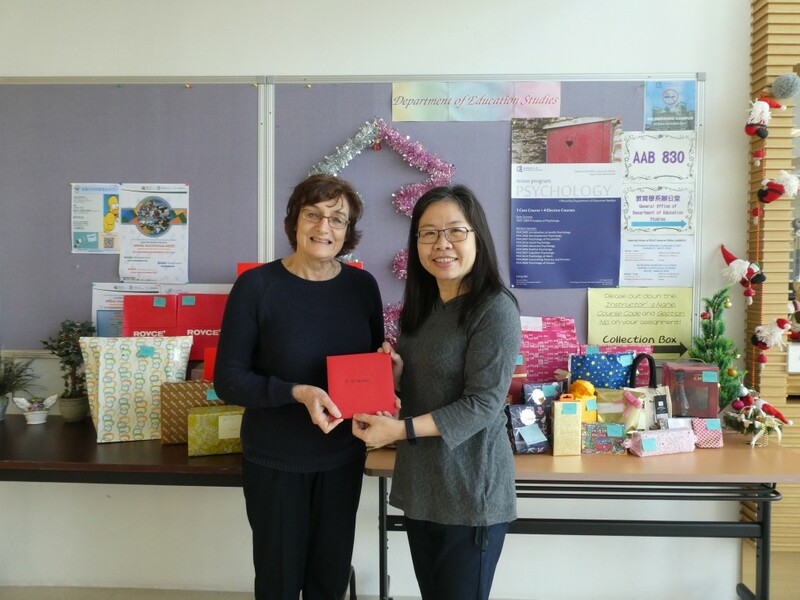 Professor Chen-Hafteck is currently a Visiting Fulbright Scholar of the Department of Education Studies of HKBU. She has published numerous journal articles and book chapters, and has held leading positions in the International Society for Music Education as a member of its Board of Directors, Chair of its Young Professionals Focus Group, and Early Childhood Commission. School Partnership / Leadership Newsletter is an electronic newsletter published annually summarizing the events of school placements, teaching practice and school leadership activities in our Department in the past academic year. It is hoped that the reader can find it resourceful and memorable.